Xiaomi is about to change the game by rolling out the official MIUI 8 update based on Android 7.0 Nougat. Xiaomi is one of the largest Android smartphone producer in the world. Plus, MIUI ROM is quite popular among third-party manufacturers as well. 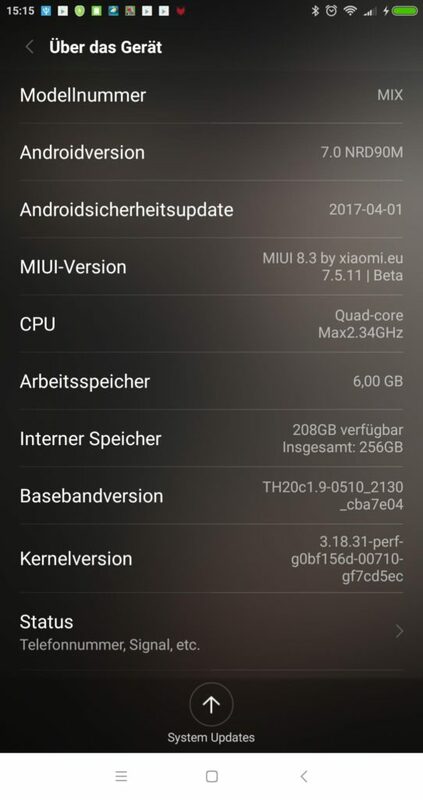 Similar to the Flyme 6, here we have the Nougat based MIUI 8 firmware for Xiaomi Mi Mix, Mi 5s, Mi 5, Mi 4s, MiPAD 3, Redmi Note 4, Note 2, and many other phones. According to Xiaomi’s official statement Android 7.0 Nougat will be released on May 16, 2017 for the Beta testers. So sign up for the Beta testing program now. Alternatively, install the MIUI 8 ROMS based on 7.0 Nougat from below. Xiaomi’s Pure MIUI project, is a community project that brings the latest Android versions and updates to the MIUI firmware. This time, they has released Android 7.0 Nougat running for many Xiaomi devices. Check out them below and flash it via TWRP recovery. 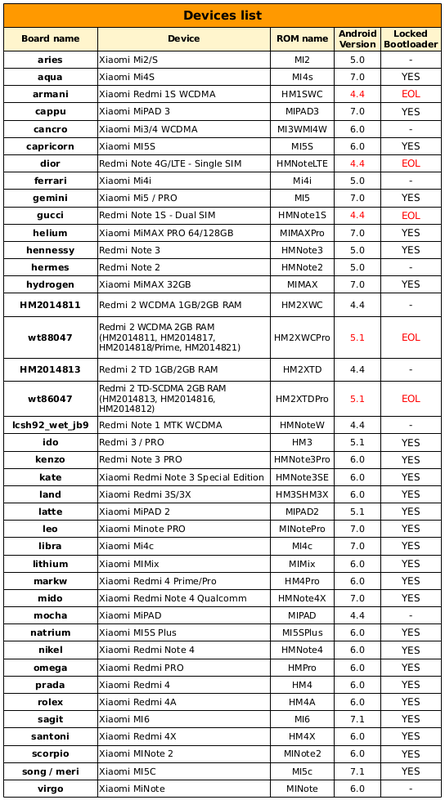 Checkout the list above to know the latest Android version available for your Xiaomi device. Later, head over to the following links to download the ROM. Check the ROM name and check the Android version from above and download the proper ROM for your device from the download repository below. How to install MIUI 8 Android 7.0 Nougat ROM on all Xiaomi devices? Make sure you are on stock MIUI ROM and not a custom ROM like Lineage OS or Resurrection Remix. Make sure the Bootloader on your Xiaomi device is unlocked. Make sure your Xiaomi device is rooted with latest TWRP recovery installed. Download the Nougat version of MIUI 8 ROM from above. Transfer all the files including custom ROMS, SuperSU, Gapps to your device storage. Reboot Xiaomi device into TWRP recovery. Click on Backup and take a bull Nandroid backup of previous ROM. Click on Wipe and format the partitions including Cache, Dalvik-Cache, Data. Tap on Install option and select the ROM from storage. Swipe to install ROM. Similarly, flash the SuperSU 2.79 SR3. Wipe the cache and reboot your device to the system. For Google apps, check out the tutorial above for MIUI. For queries, comment down below.